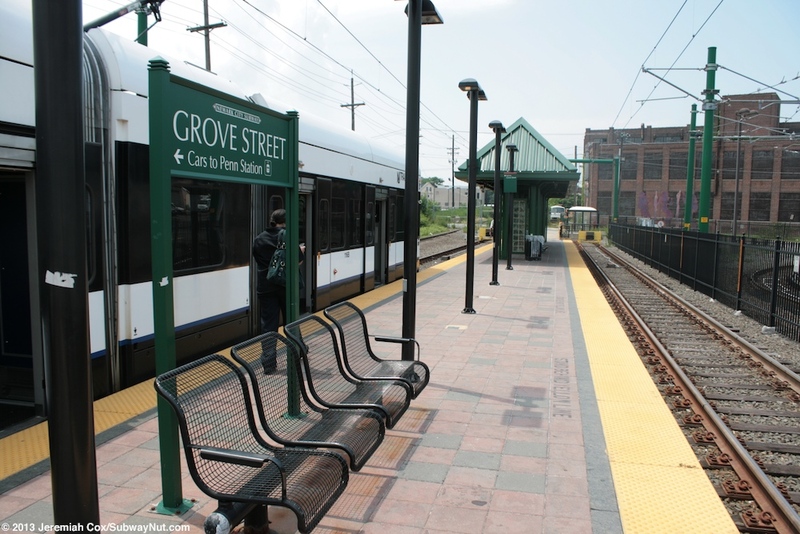 Grove Street is the terminus of the Bloomfield Extension. 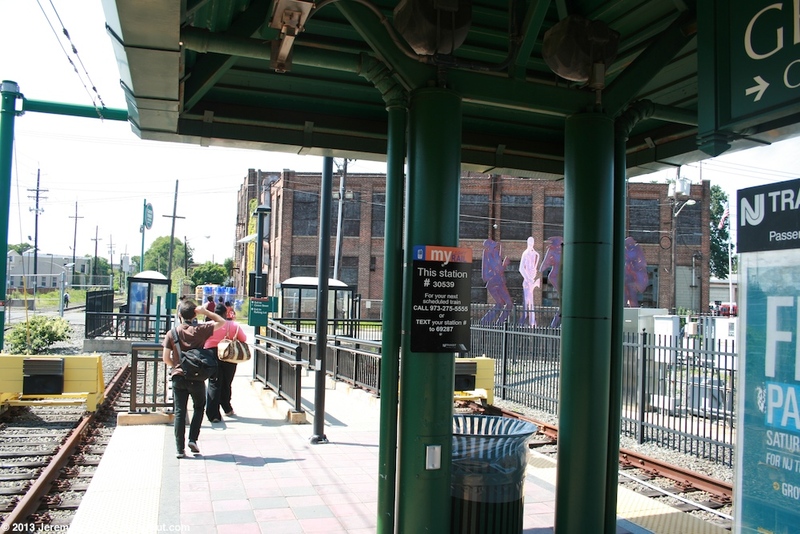 This is the first Newark City Subway extension since the underground subway was built (various other streetcars that used the subway ended until Route 7-City Subway, today's line becoming the only line in 1952). 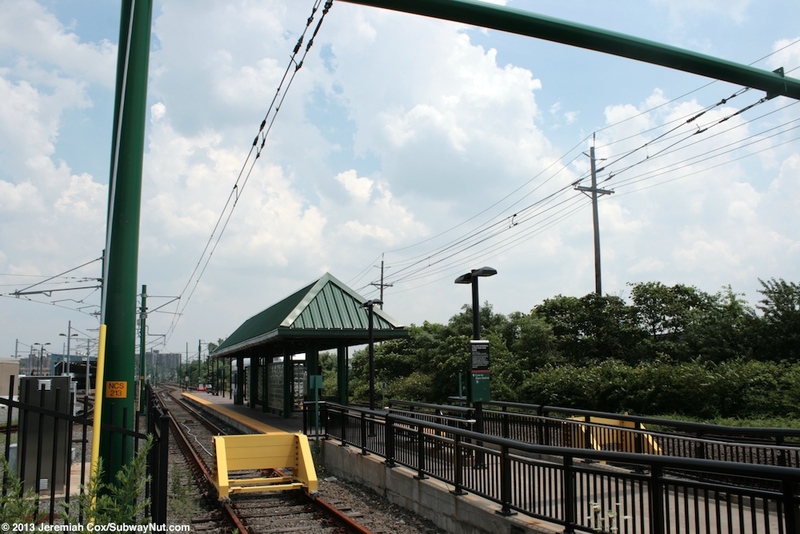 The extension is quite short and only one mile long opening on June 22, 2002. 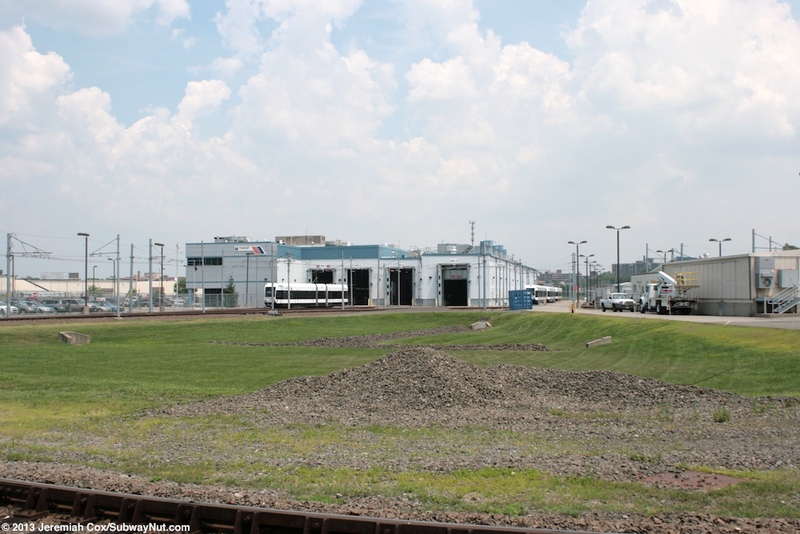 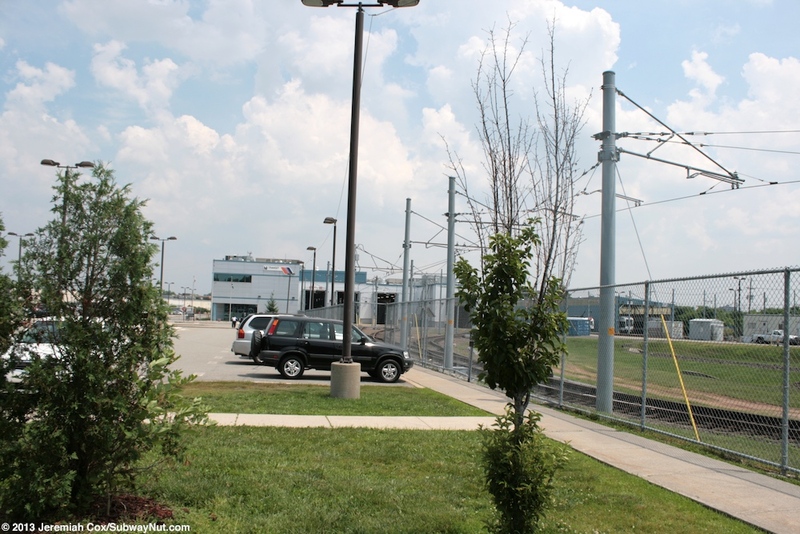 A major component of this project was also building the maintenance facility for the new LRVs that replaced the former PPCs that lacked a real train yard and were maintained on the tail tracks at Penn Station. 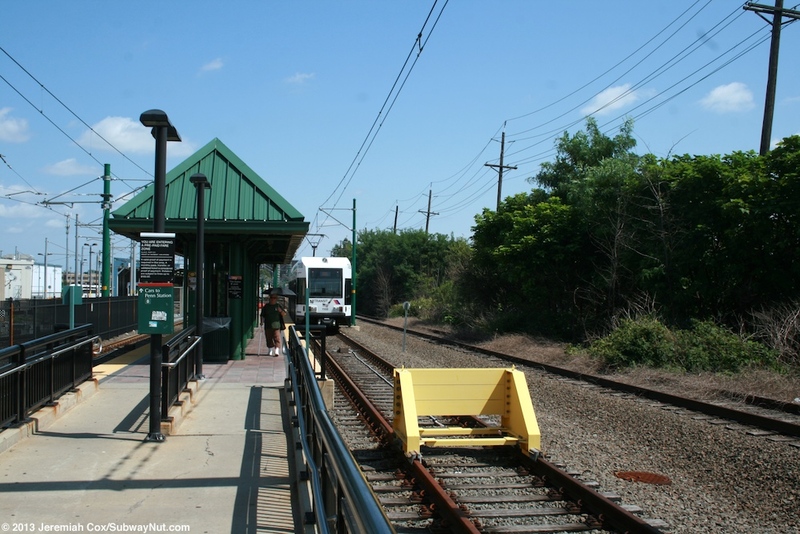 Over the course of a weekend without train service all PCCs were replaced by new LRVs on August 27, 2001 (the two vehicles never operated at the same time) and these trains ran light to enter and leave service to and from the already completed maintenance facility at Grove Street although it took almost another year to begin passenger service to this station. 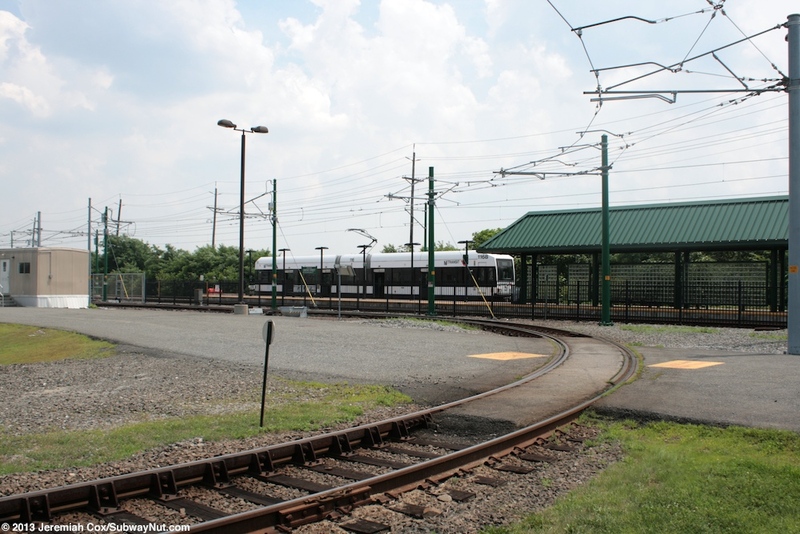 The station has a single island platform on the south side of the train yard. 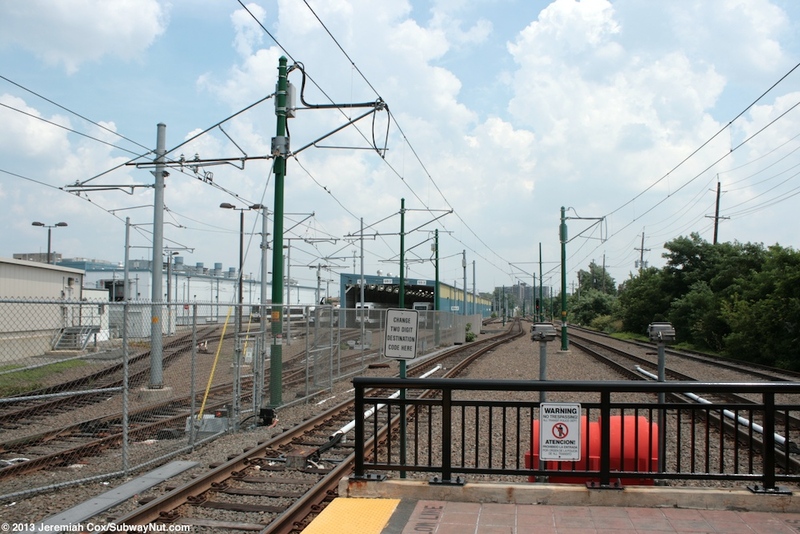 It serves two tracks that end at bumper blocks and could clearly accommodate two LRVs but other stops can't. 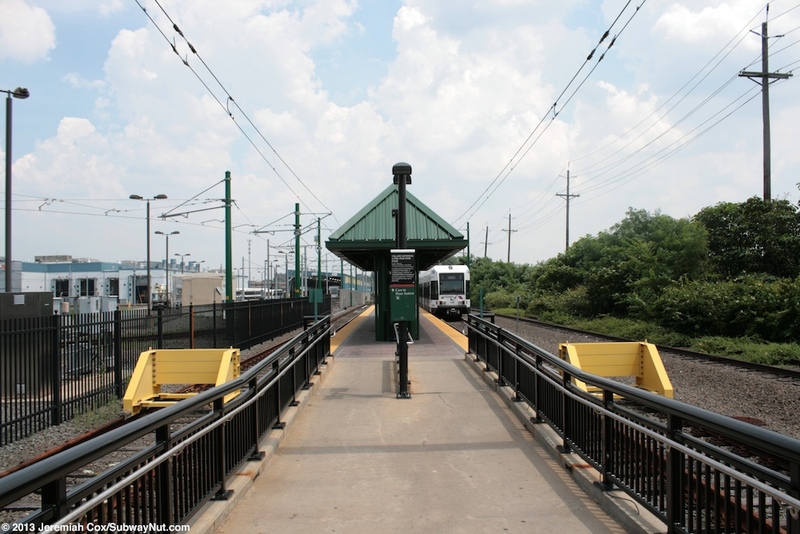 Single LRVs provide all Newark City Subway service. 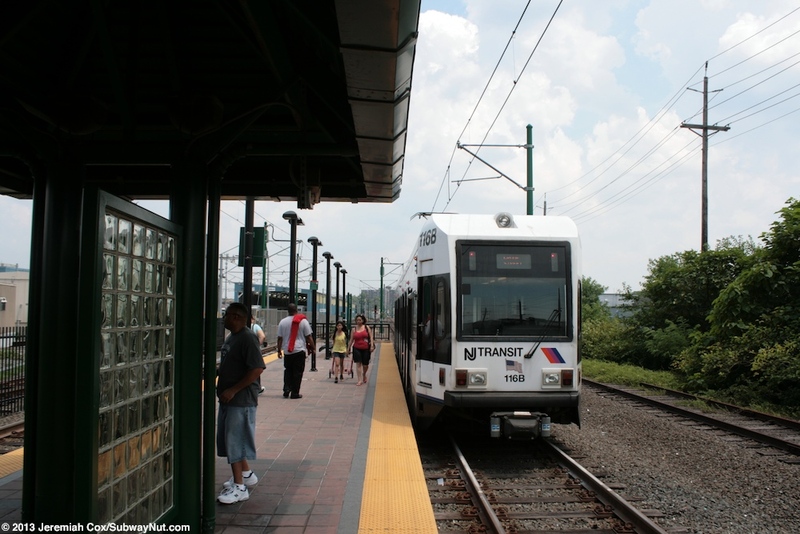 The PCCs that formerly operated on the line could never stop here without a back up move. 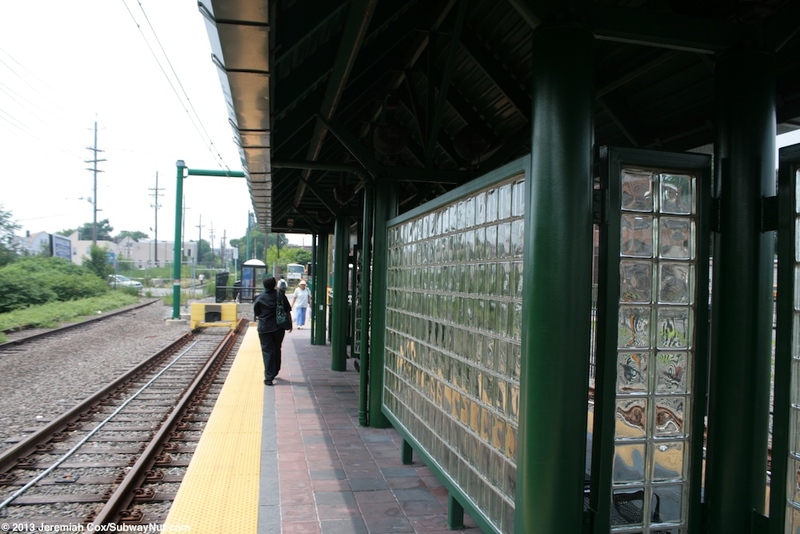 The island platform has a green theme with green platform signs. 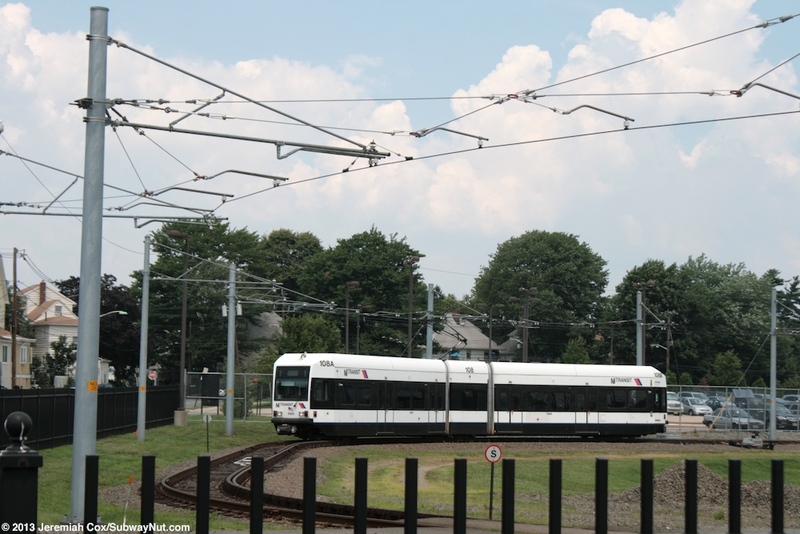 There is one canopy structure towards the bumper blocks but LRVs normally don't pull up that close and stop at the other end of the station. 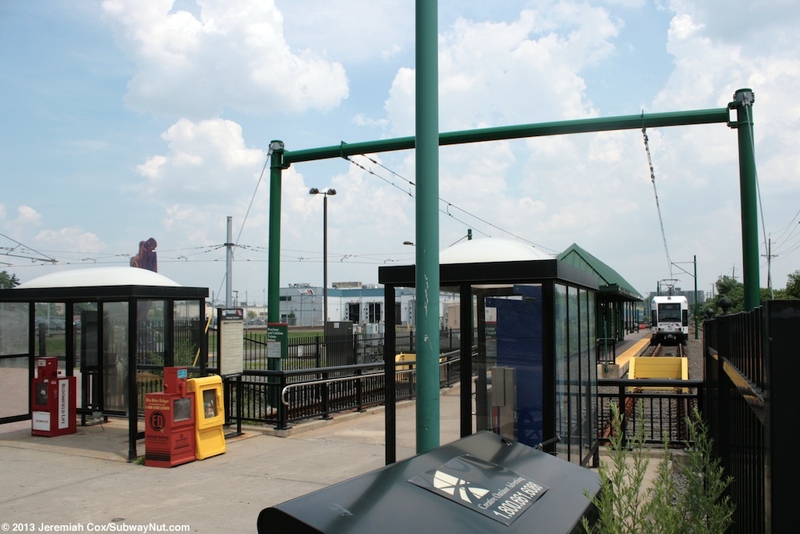 To leave the platform passengers walk down a ramp beyond the bumper blocks to a small entrance area with two bus shelters and just one containing a TVM. 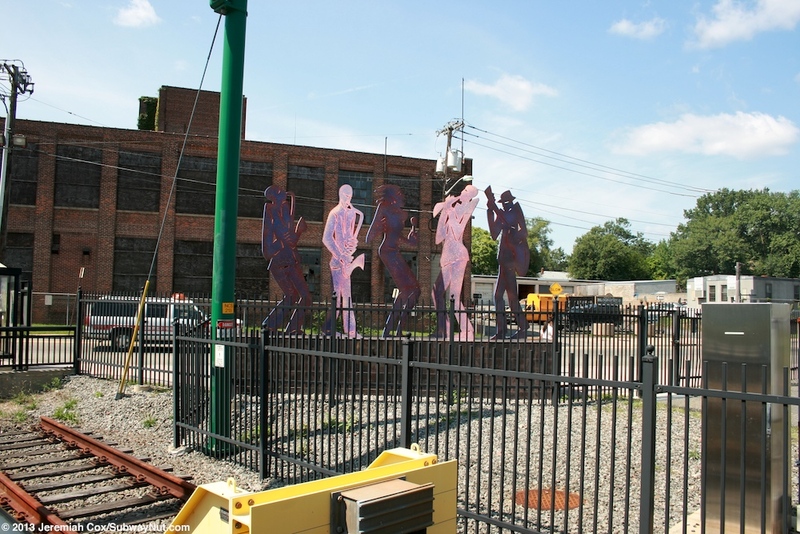 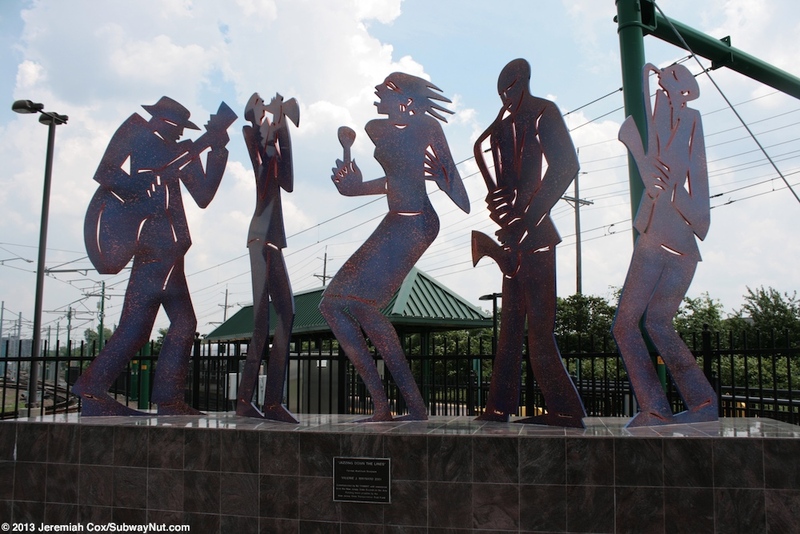 A statue of 5 Jazz Players is located here with five purple 2D forms. 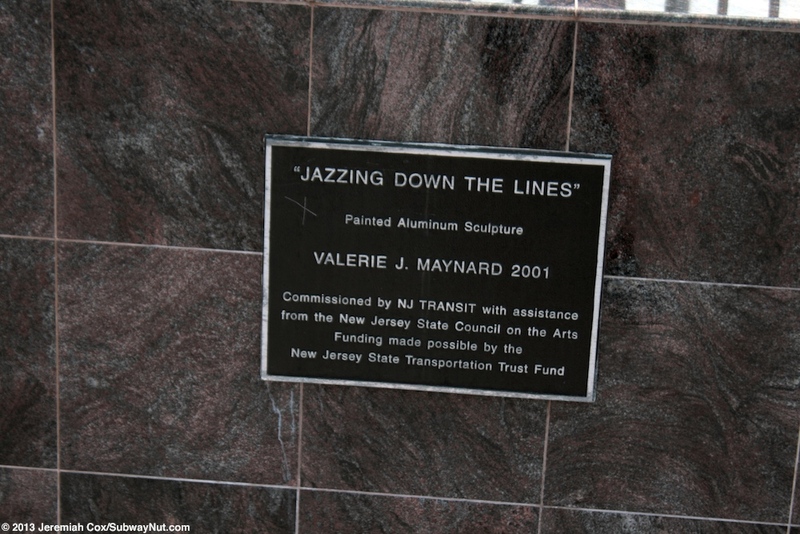 It is Jazzing Down the Lines by Varerie J. Maynard. 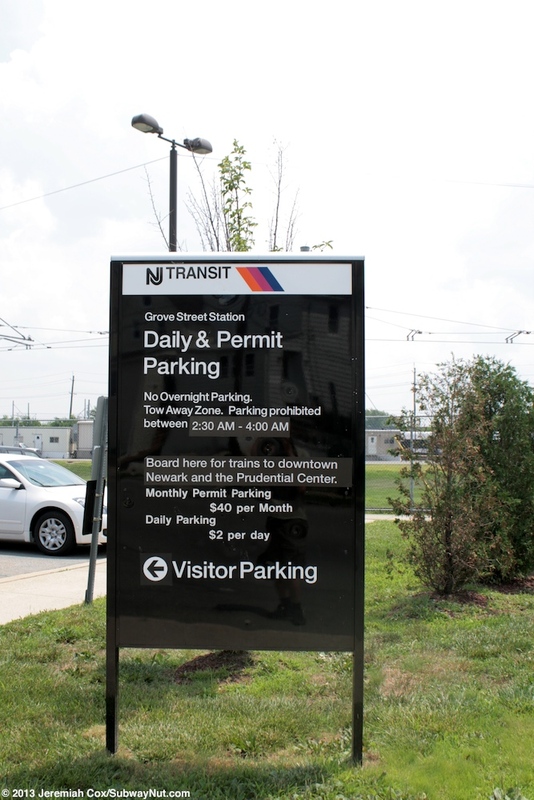 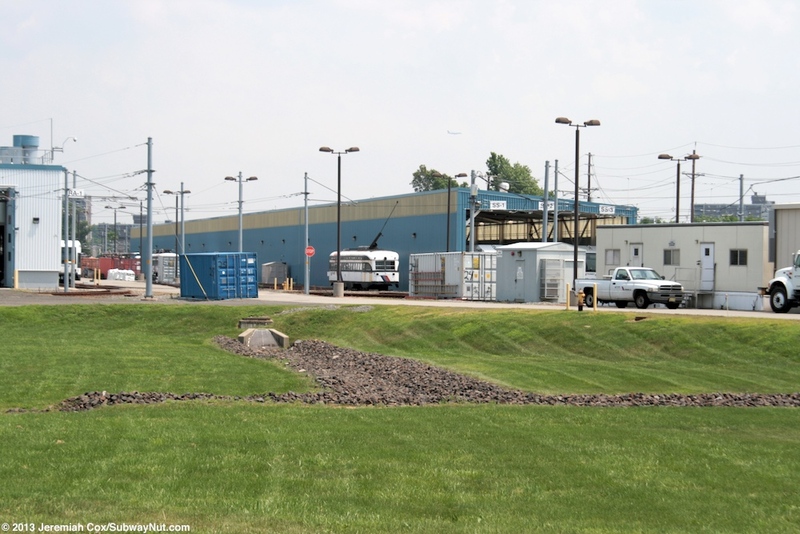 The only Park & Ride Lot on the Newark City Subway with 160 spaces is a short walk away since it is on the other side of the Newark City Subway yard and maintenance complex, Watsessing Avenue runs along its northern side. 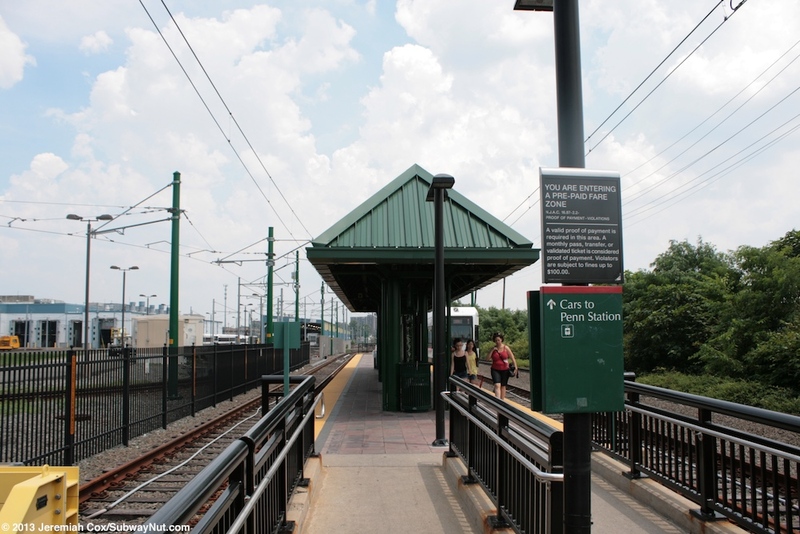 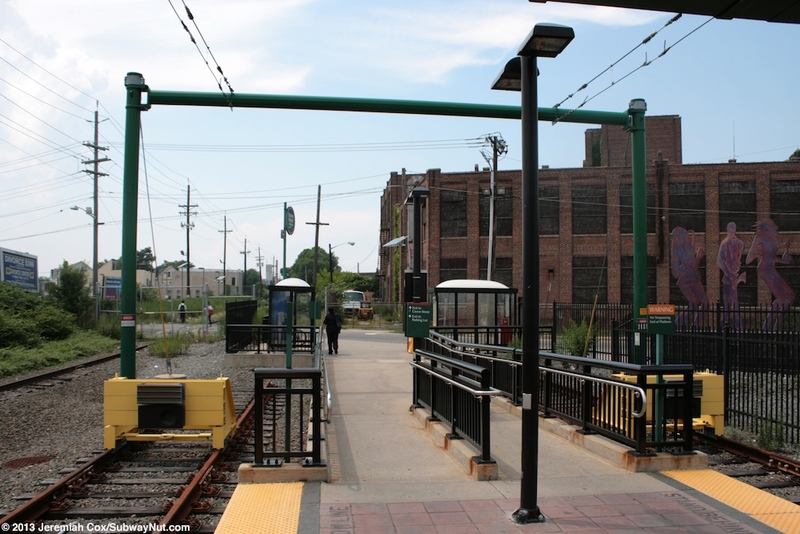 The Watsession Avenue station on the Montclair-Boonton Line is an easy three-quarters of a mile walk away.